This bright and spacious,three bedroomed flat offers a well proportioned reception room with dining area, sunny kitchen with fitted appliances.Please feel free to contact our consultant. 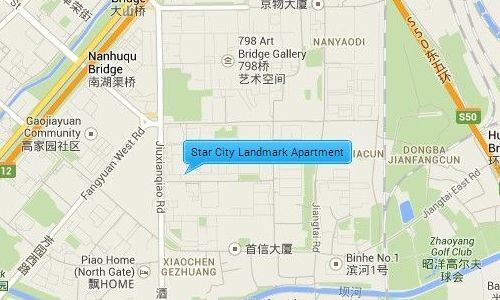 Star City Landmark is situated in the southeast corner of Dashanzi Huandao it is near the Airport expressway making it only 15 minutes from the Airport; it is also near the Jingshun Road and Yansha Shopping Centre. There are several large markets around the compound and it is by the Dashanzi Art District where the trendy and avant-garde Factory 798 is situated.